Compared to the humble inaugural event in 2007, Record Store Day 2012 — this Saturday, April 21st — might as well be a WWE Smackdown: There’s Iggy Pop as the official Record Store Day “Ambassador,” in-store events taking place across the country at most of the participating 700 independently owned-and-operated record outlets, and let’s not forget the other paramount aspect of Record Store Day … more than 300 official Record Store Day titles to be released only at these locations. The unprecedented scope of this year’s Record Store Day is evident on a local level as well, with Seattle's Light in the Attic Records sponsoring the Memphis Record Store Day Crawl. 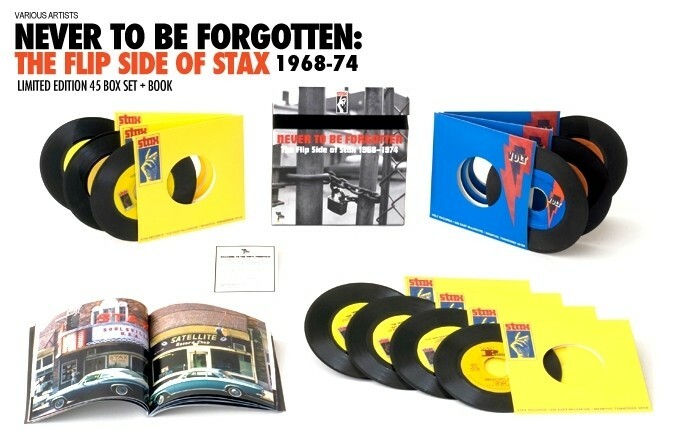 To coincide with the label’s official Record Store Day release of Never To Be Forgotten: The Flip Side of Stax 1968 - 1974 — a lavish boxed set of 10 vinyl singles that collectively cover the final days of the legendary Memphis soul label and come packaged in a hand-numbered edition of 4000 — three DJ/meet-and-greet hours will be set up throughout the afternoon at Shangri-La Records (2-3 p.m. featuring DJ Buck Wilders), Goner Records (3-4 p.m. featuring DJs Zac and Eric), and then the finale at a satellite record shop located in the Stax Museum itself (4—6 p.m. featuring DJs Leroy and Jones, plus free admission to the museum for these last two hours). 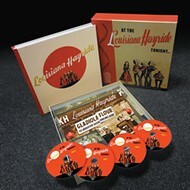 Keeping with the Record Store Day tradition/policy, this boxed set will only be sold at these three locations on Saturday. Speaking of Record Store Day exclusives, Goner Records participates this year with their official Record Store Day release of No Bunny’s Maximum Rock ‘N’ Roll 7” EP. 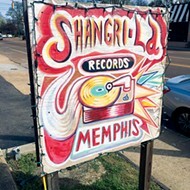 And remember that all three participating Memphis locations will have many of the other Record Store Day releases for sale, according to what was available to be shipped their way.